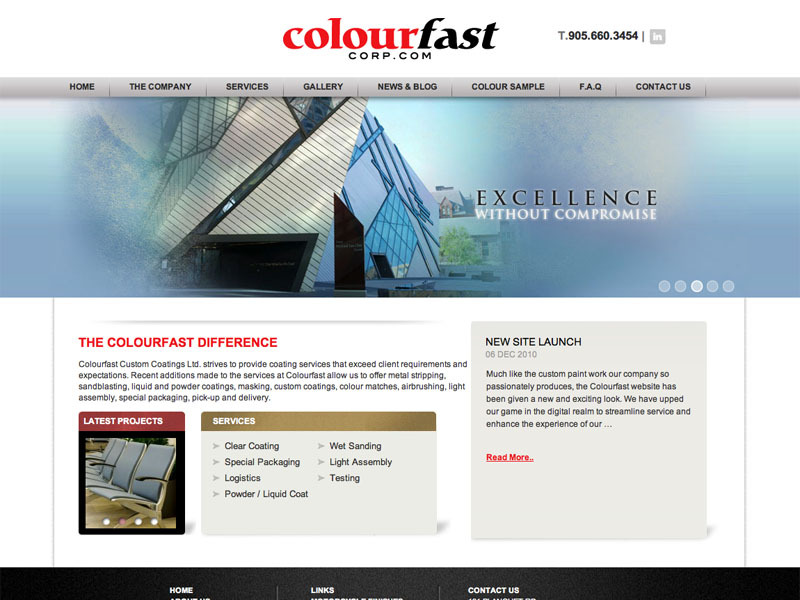 Web Design Store Recent Project - Colourfast Custom Coatings Ltd. 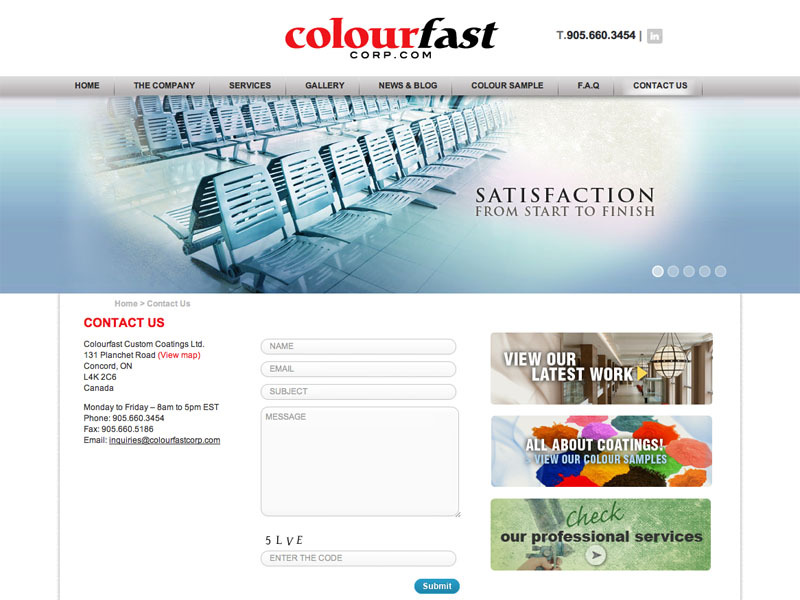 Web Design Store > Portfolio > Colourfast Custom Coatings Ltd.
Colourfast Corporation offers a wide range of services, from large-scale finishing projects for retail stores and airports, to motorcycle and patio furniture finishes. With such a large spectrum of services, this posed an interesting challenge in creating a website. 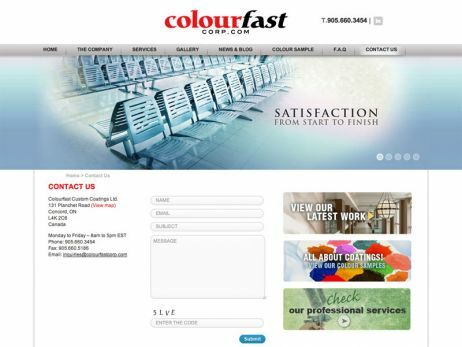 Does a company this diverse try to group all of its services under the umbrella of one single website, or split into multiple sites, each focusing on specific facets of the company? 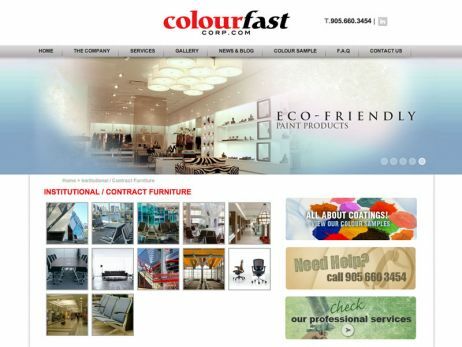 After various discussions into the pros and cons of each approach, webdesignstore.ca proposed a main corporate website to be created, along with two sister sites: one for custom motorcycle finishes, and the other for patio furniture finishes. 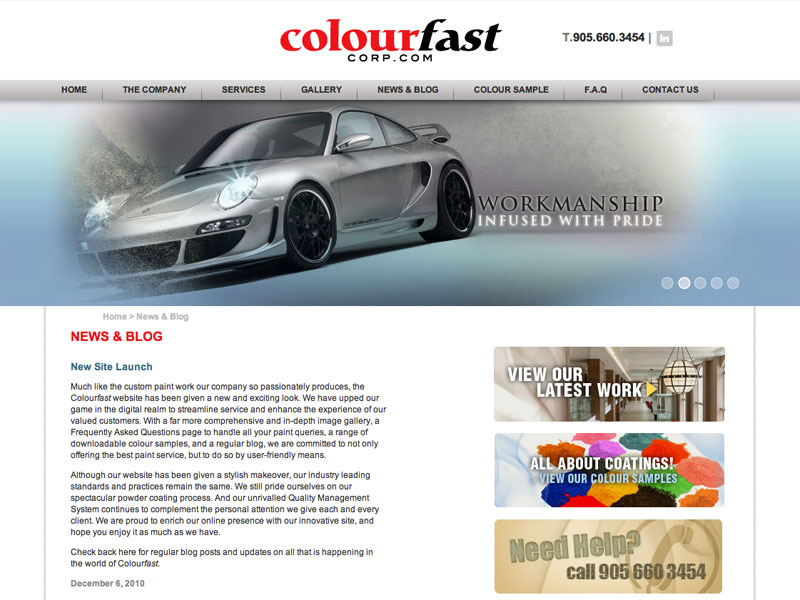 This allowed greater opportunity for each facet of the company to target its own specific user-base. 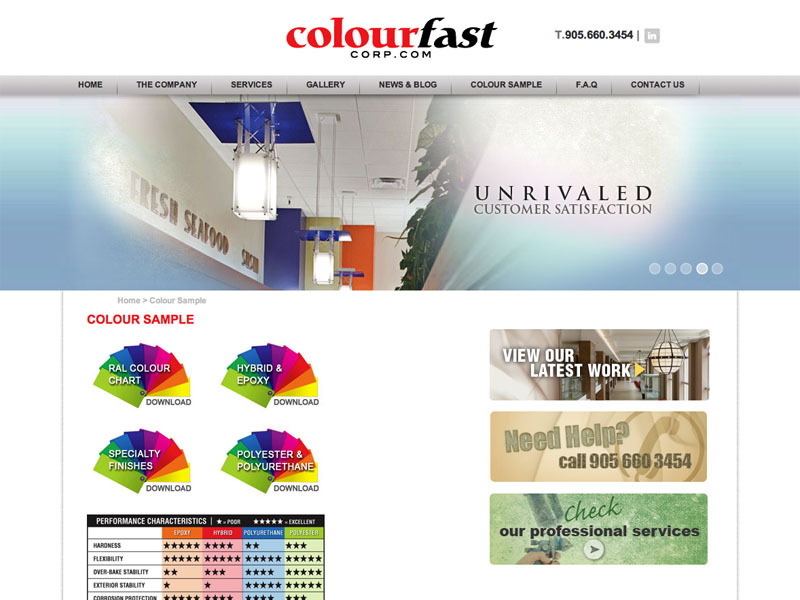 Along with each site sharing the main corporate branding, each of the three sites is cross-linked to each other. Case Study - Colourfast Custom Coatings Ltd.
Understanding your industry is key to any good SEO strategy. Learning how your potential customers are searching for your products and services will allow you to be strategic in planning the layout of your website.